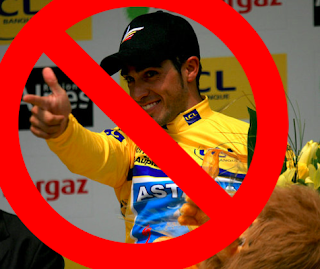 Handlebar Mustache: Does the Contador ban mean Pro Cycling is cleaner? Does the Contador ban mean Pro Cycling is cleaner? I have to be honest I am a bit stunned by the CAS decision today. I really thought based on the small amount of clenbuterol in his system, other athletes' case wins for similar issues, and his home federations decision, he would walk. I wanted to zoom out on the issue and take an honest look at it. For the record, my belief has been and still is, that he took in a blood bag at the TDF from earlier in the year and that is why he had the small amount of clenbuterol in his system. Does that mean I hoped he was going to be banned and stripped of his titles? No, I was actually hoping he would be free to ride the 2012 season. Why? Because he makes cycling more interesting, and I am not assuming he is any less clean than other riders. I am really questioning the notion that cycling is cleaner today based on this decision. I am also challenged on what my stance is on doping in the sport and the way cycling approaches it. Is cycling trying to be perfect in a sporting world full of leagues constantly pulling the wool over their fans eyes? Merckx, who himself tested positive in controversial circumstances in his career, feels that the trace amount of Clenbuterol found in Contador’s urine – 50 picogrammes per litre, a far lower level than most anti-doping labs are able to detect – means that he should have been acquitted. While Merckx acknowledged that it was necessary to try to catch the cheats in sport, he maintained that cycling paid a far higher price than most other sports. We can't approach the doping issue as many Bike Pure Twibbon flying fans do, acting as if doping entered the sport right around the time Lemond couldn't keep up (as he has claimed multiple times, that was the start of the EPO era). Doping has always been around the sport in some form or fashion since the early 1900's. From arsenic, cocaine, blood transfusions, EPO, and even UV blood treatments, only the methods have changed. The Mt Rushmore of cycling all admitted to, tested positive or are suspected of doping (Merckx, Coppi, Anquetile, Fingon etc..). Others have come under serious allegations and suspicions including Lemond with his "iron" injections from Otto to Lance's relationship with Dr. Ferrari. It has always been part of the sport, so do events like the Festina Affair, Operation Puerto, Floyd Landis and now Contador mean it is cleaner? Alberto Contador became the second TDF winner to lose his title in the last 100 years, but the second in a four year period. Does this mean more are doing it, or did a few riders and doctors get sloppy? Will the persecution of these few deter riders from this route going forward, or will they just work harder to hide it? I have to agree with Merckx from a business perspective - cycling does a clumsy job with doping in the sport. They have tried to walk the line of a "pure" sport way out in front of other sports like soccer, track and field and EVERYTHING happening in a stadium in the US. From the outside, cycling looks like Kirstie Allie battling her weight issues. Events like Festina Affair and Op Puerto are mega diets for cycling resulting in a "beach body" for a short time. "Look everyone, we are cleaning up our sport! See, look at us in our thong!" No other sports has these major events and perhaps there are good reasons for it. Futbol (Soccer here in aMerika) and tennis both had some ties to Operation Puerto but nothing ever surfaced. Both sports had a ton of money and fans to lose, so it just didn't come out.... is this a better way? MLB and the NFL have been very slowly "working" on testing for a long time. When I watch a Sunday in Hell, I don't stop to ponder if Merckx or Devlarmick are on something; I just watch and enjoy it. Perhaps it is just the time we are in now, most people look at pictures of JFK and Jackie O without wondering about Marilynn Monroe. I enjoyed the 8 stages of the TDF I was at (2001 and 2003-2005); Tours that included Lance, Jan, Basso and Vino. For many fans looking back on video of these races now, they view them like vacation pics of the Clinton's. All they can focus on is does Hillary know about Monica? 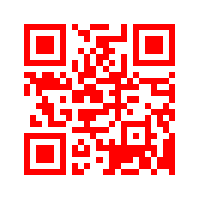 The inter webs have been a buzz with anti-Lance and anti-Conta tweets, FB posts, and blogs. Many of the fans are not short on venom for those suspected of doping and the fans of those riders. My big question when people mount their sporting high horses is who can you prove to be clean? Battles go back and forth from LA fans to fans of other riders. 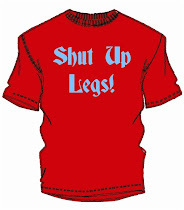 Evans and Schleck fans call Armstrong a cheat, and say he is smug and arrogant. Then LA fans punch back with YouTube videos of Cuddles being a jerk to reports and reminders that he was on T-Mobile. Other chime in reminding those that forgot about Frank paying 7,000 Euros to Dr. Fuentez and the fact they rode for the same DS as Basso and Hamilton. Many arguments end this way with the thread going cold. "You can't prove a negative" so we are left to wonder, does anyone get a pass for being clean? Are we expected to believe they are clean based on the team they ride for or the rubber bracelet they wear? As I have stated before, each and every rider can be tied to a questionable teammate, DS, DR. or trainer by 1 or 2 degrees. Take a rider and fill in the blanks...did they ride for ______ (Saiz, Riis, Johan, Lelangue) did they work with _______ (Ferrari, Fuentez, etc) _______ Do they train with or were they friends with______ (fill in any rider that has been suspended). Did their results jump up drastically in one season in a discipline_____ (TT, climbing etc) or as a GC contender? When you do this, you will realize that a DS like Johan has had quite the eye for talent (Vaughters, Hincapie, Boonen, Devolder, Levi, DZ, Floyd, Tyler and Christian). So do I actually believe that Jonathan Vaughter's and team are above suspension more than Johan or Bjarne's team? The answer for me is NO. The likes of Ted Haggard (or substitute any other pious religious figure or politician) have shown us preaching and claiming one lifestyle doesn't not mean you are not living opposite of that behind closed doors. So I feel each rider, DS, and Team should get the equal amount of suspicion or belief in their positive intent. In the end, Contador will be out of the sport until August when I assume he will roar back to win the Vuelta 2012. Fans will go on taking shots at each other and defending their favorites. I will just be watching each race in the moment hoping my favorites win. I honestly don't think the sport will ever be 100% clean, and so I am not gonna bother dwelling on it. I seem to watch other sports without wondering too deeply if they are on HGH. I agree with Merckx that cycling and it's crash diet ways of fighting doping are bad for the sport. Other sports and other fan bases live in a happier place, so perhaps an element of ignorance is bliss. As cycling fans we seem to reserve this ignorance bit for only our favorites.